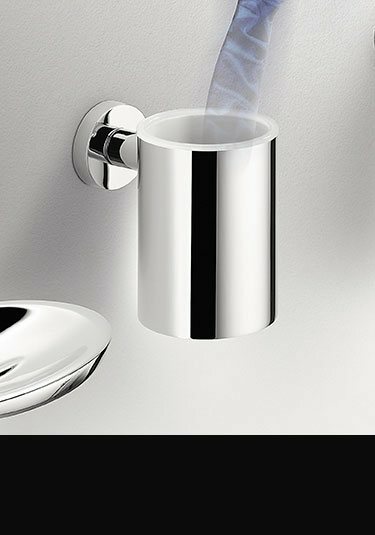 A designer collection of chrome bathroom accessories that can be drilled to the wall or alternatively adhered using industrial strenght self adhesive pads. The self adhesive fixing method is ideal for easy and quick installation and saves on destructive drilling into very hard or expensive wall tiles. 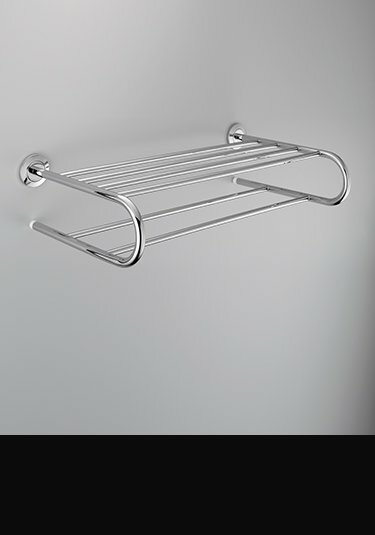 We offer a full range of luxury bathroom fittings including toilet roll holders, soap dish and toothbrush holders plus towel rails and toilet brushes. 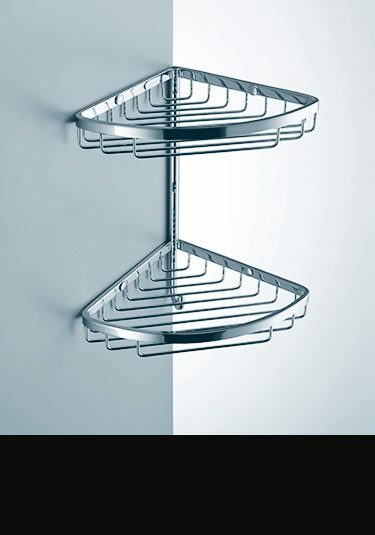 We also offer matching shower accessories including shower baskets & towel racks. 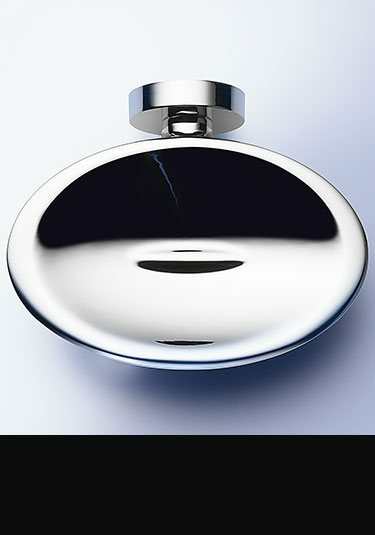 All our bathroom and shower fittings are chrome on solid brass construction and covered with a manufacturers 10 year corrosion free guarantee. 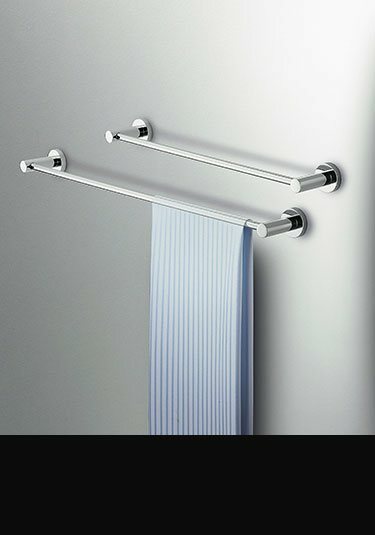 Luxury Italian bathroom accessories styled for design led interiors. 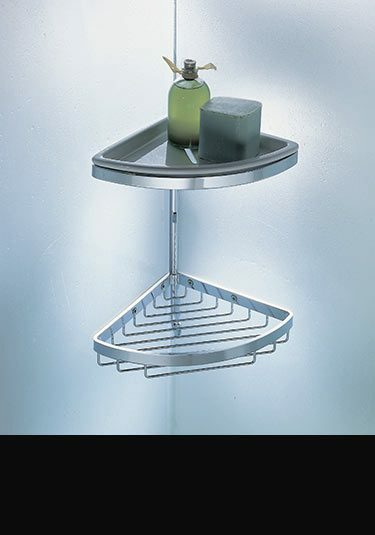 Each wall mounted soap dish is made of corrosion free brass with a thick chrome plating. 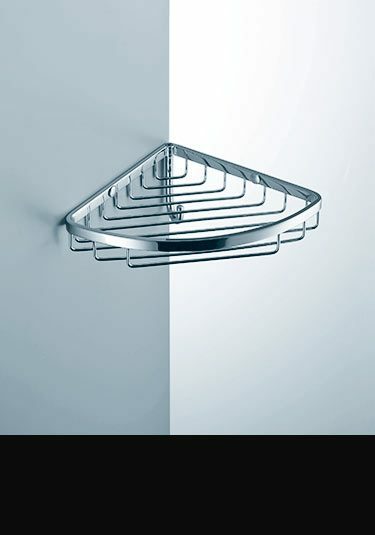 Part of a full contemporary bathroom accessory collection. 10 year corrosion guarantee. Luxury quality toilet roll holder made in Italy in solid brass with a thick chrome finish. 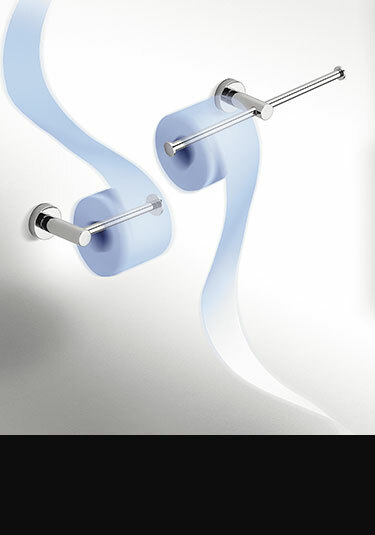 Part of a contemporary styled bathroom accessory collection that can be drilled or self-adhesive installation. 10 year corrosion free guarantee. Luxury wall mounted tooth brush holder. Made of thick chrome plating on a brass holder. 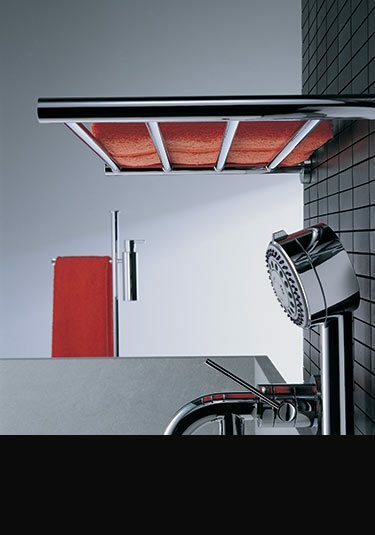 Lovely Italian styling with 10 year corrosion free guarantee. 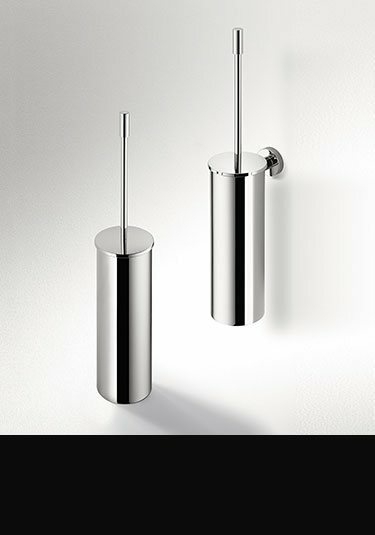 Lovely Italian styling and luxury quality, these pump soap dispensers are a stylish addition to bathroom design. 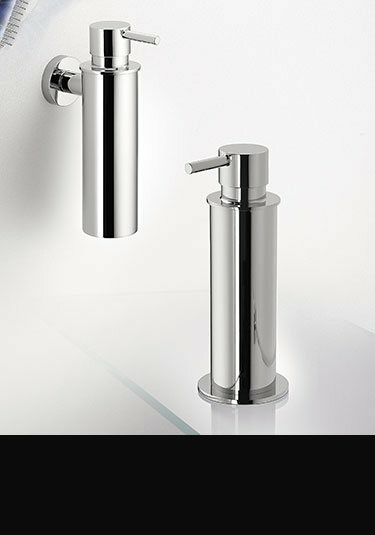 Made in solid brass with a chrome finish, each soap dispenser is covered with corrosion free 10 year guarantee. 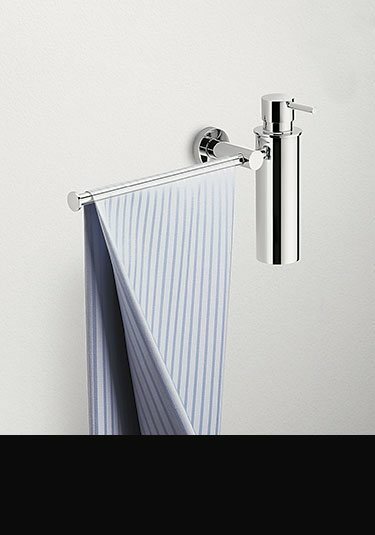 This Italian styled soap dispenser with integral towel bar is an ideal and luxury finishing touch for a stylish bathroom. Made in chrome onto a brass body and guaranteed for 10 years. Exclusive design and beautiful luxury quality these designer toilet brushes and holders are available for floor or wall mounting. 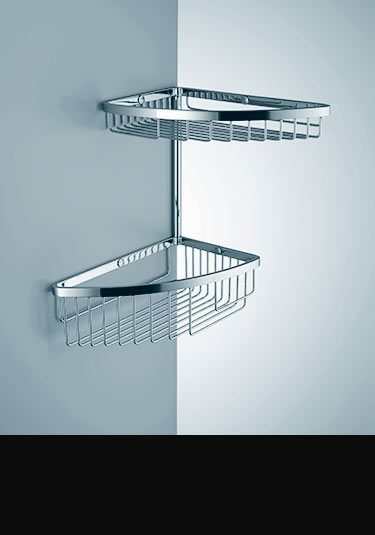 Part of a larger collection of bathroom accessories. 10 year guarantee. 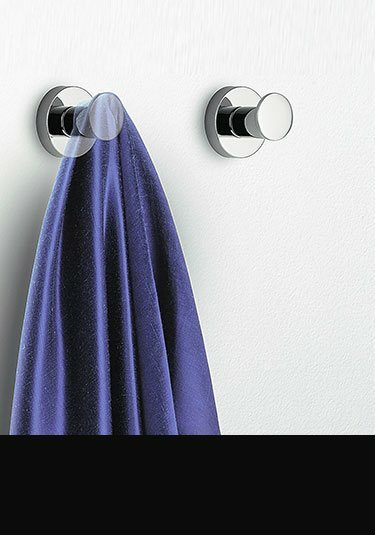 Contemporary styled bathroom robe or towel hook made in brass with a chrome finish, making these hooks highly corrosion resistant. 10 year guarantee. 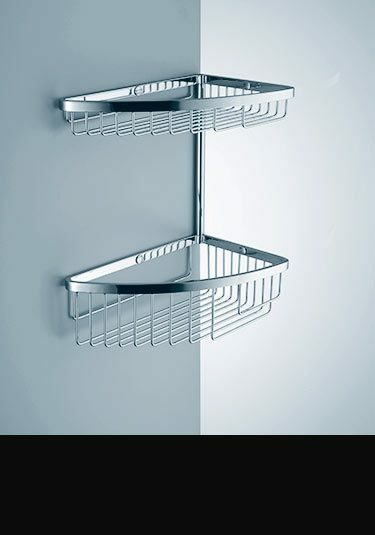 A lovely quality draining shower shelf with handy twin hanging hooks. 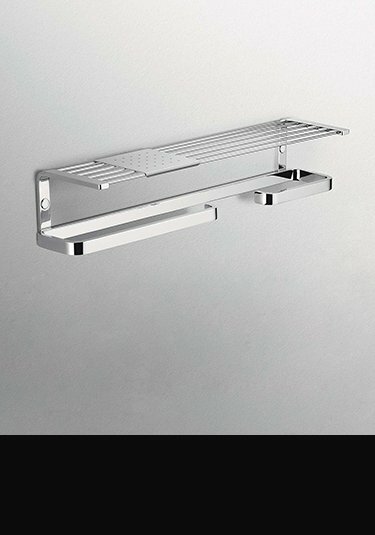 This large shower accessory shelf is corrosion free quality with long 10 year guarantee.